Hiring ABA Therapists: The Interview - I Love ABA! I've discussed on my blog how to find ABA therapists for your in-home therapy program, and recommended a great resource for exactly how to do this ("Behavioral Intervention for Young Children with Autism" by Catherine Maurice). This post is for parents who have already found a pool of potential therapists and are ready to begin interviewing. If your child receives ABA services at school or through an agency then you typically don't get much say in who will be working with your child. The agency or school makes this decision and its probably based on availability of the therapists. However, even if you are dealing with a school or agency you can still ask to interview the ABA staff and to meet the therapist before they begin working with your child. I hope this information serves as a minimum standard of how to interview an ABA therapist. I've helped families locate and hire ABA staff and I've observed staff interviews. I have noticed many parents are uncomfortable being placed in the position of "Manager". As the parent, that is what you are. Even if you have a Lead Therapist supervising the ABA program, the parents are the ones who make hiring and firing decisions. It's important to treat the hiring process seriously. If you want competent and dedicated therapists then take the time to recruit carefully before hiring anyone. Avoid spending the interview laughing and chatting; the therapist isn't interviewing for a position as your buddy. Project the level of professionalism that you expect. Decide before you meet with any potential therapist the job expectations, schedule, minimum and maximum pay rate, and create a short summary of daily job responsibilities. You may be hiring someone with little ABA therapy experience. This person may assume that if their last client paid $20 per hour then so will you. On the other hand, you may find yourself interviewing a therapist that has many years of experience. Just because someone has worked with many families doesn't mean they are competent. Make all of the information about the position clear -put it in writing- and discuss it with the potential therapist. Explain what you expect regarding job performance (such as stating you will video record sessions). Dont let the ABA therapist be surprised when they begin working for you. If you expect them to stay 30 minutes after each session to go over notes and data with you, tell them that upfront. 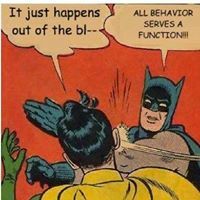 Parents often have the misconception that an ABA therapist is an all-in-one job title.....it's not. Most ABA therapists are only qualified to implement programs and run a session with your child. They may not be qualified to write programs, do assessments, or train teachers. I talk to so many parents who hire an ABA therapist and quickly realize the person has a limited skill set. The person who manages or supervises an ABA program is the Consultant. The person that implements programs is the ABA therapist. Schedule the interview for a time when your child will be home. Observe interaction between the potential therapist and your child. If you cant observe actual interaction, let the therapist view video clips of your child. Even experienced therapists may not be comfortable with ALL behaviors. Maybe your child has a saliva play stim, and the potential therapist seems disgusted by that. That would be something you want to find out before hiring that person. It is important that any potential therapist be comfortable working with your child on their best and worst days. Be honest during the interview. If your child becomes aggressive at times, say that upfront. Its better to scare someone off during an interview than to have a therapist abruptly quit on you after a bad session. I believe the most important characteristics when hiring anyone are: Attitude, Willingness to learn, and Energy. Any therapist you hire will need some training, even if its just learning about your child's personality. If the potential therapist doesn't respond well to feedback and doesn't seem passionate about their work then that shows a minimal willingness to learn. Regarding attitude, as anyone who works with special needs children knows there are great days and horrible days. If a potential therapist is cranky, argumentative, or rude during the interview process, imagine how that person will act after a bad session with your child. A positive and upbeat attitude is essential for anyone who wants to teach children with Autism. Moving on to energy, I'm not saying that the person should arrive at your home and be bouncing off the walls. What you are looking for is a lack of energy. Does the person seem tired, overly quiet, or very soft spoken? Anyone working with young children should be able to "turn on" an upbeat, animated persona and leave their troubles at the door. If you are interviewing someone and cant picture them smiling, clapping, making goofy faces, or shouting "Hooray", then that is not an ideal ABA therapist. Most families tend to hire high school or college students with minimal experience as ABA therapists. This is usually due to low cost. 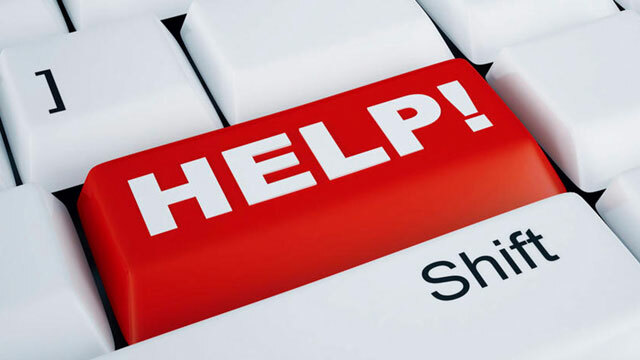 When working with students you may want to consider including an employment clause where the individual agrees to a minimum length of employment, such as one year. There's a few reasons families choose to do this- 1) As stressful as high staff turnover is on the parents, imagine how stressful and confusing it is for the child to constantly have to get used to new people, 2) Students tend be transitory, so by placing an employment length commitment on them you are sending a message about the seriousness of committing to the job, and 3)Think of all the time and money you will spend on training a new therapist. You dont want a situation where you spend thousands of dollars training a new therapist, and he/she quits on you after 2 months of employment. Motivation for doing this kind of work? What do you know about Autism? What do you know about ABA? Do you believe a child with Autism can recover fully? Why or why not? What would you do if our child bites or hits you? What is your personal philosophy about special education? What was the last book you read about Autism? How do you feel about being videotaped? Have you changed a diaper? Have you changed a diaper on a child over the age of 5? How do you feel about bodily fluids getting on you, such as spit, vomit, urine, blood, etc? Willing to train new therapists in the future? Willing to attend training sessions, conferences etc.? What do you think the primary responsibilities of a therapist are? What type of activities would you do with a child of X age? What do you do when a child totally frustrates you? How do you handle temper tantrums? How do you handle meltdowns? What kind of relationship do you want with our family? What kind of boss do you work best with? What important traits do you think a therapist should have? Do you plan to pursue Board Certification one day? Why or why not? 5. You may have noticed I haven't listed requirements for experience, salary, or education. 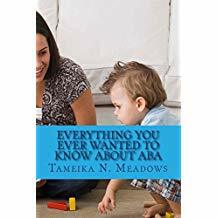 If you do a quick search online, you'll find tons of recommendations about education and experience requirements that ABA therapists should have. In my experience most families cannot find or afford a therapist who actually meets these standards. Sadly, the demand for experienced ABA professionals far exceeds the supply. You may need to recruit inexperienced individuals and spend time training them if you can't locate quality professionals in your area. In no way am I saying families should lower their expectations when hiring ABA staff. If you want an ABA therapist with 15 years experience and a Masters degree, then stick to what you want. However, know that it might be very difficult to find such an individual who has availability and is affordable. Most professionals who are degreed and experienced are in very high demand, or charge upwards of $40/hr. That is why I stress to parents to look beyond a potential therapists' experience and education and find out who the person is, how passionate they are about learning, and if they truly enjoy working with children. Those factors, along with time and training, can turn an inexperienced babysitter or family friend into an amazing ABA therapist. Private family seeking fun and energetic behavior tutors! No experience is needed. We are happy to train the right individual. Position: We are seeking 1-3 behavior tutors to provide ABA therapy to our adorable 5 year old daughter, who has Autism. ABA stands for Applied Behavior Analysis, and is a behavioral treatment that has been successful for children with Autism. Your job will be to play with our daughter and to help her learn! Availability: Afternoon (3:00 pm- 6:30 pm) and weekend availability is especially needed. § An adorable and happy student for you to teach! If interested, please send your resume along with a short introduction. Tell us about any related experience, what you know about Autism, and why you think you are a good candidate. I agree with point n.4! Meeting two ABA canidates tomorrow, and this is so helpful. Thank you so much for the time you put into this! You're quite welcome, good luck with staffing your ABA team!